Planning on having a concrete patio on your property? It’s important to know what to expect before you dive in and invest in this paving material. Concrete patios are quite popular and it’s due to their numerous advantages. We will look at what to expect after installing a concrete patio in any given property. Before any concrete is poured, there must be a leveled ground on where you intend to locate the driveway. The ground is leveled prior to pouring concrete so as to avoid cracks and ensure the patio lasts long with minimal maintenance. It’s important to find a reliable concrete contractor who can work on the site from start to end. Many companies in Raleigh NC claim to offer the best installation service when it comes to pouring concrete. You need to be extra cautious when choosing a contractor. If the installation is not done well you not only risk ruining the aesthetics of your property but also the risk involved when having an uneven patio. Choose a contractor with skill and experience in installing this particular type of patio. Ask for photos of work done prior so as to understand their capabilities. Don’t rush into the process of hiring a contractor. Once the concrete patio has been installed, you need to ensure that it dries thoroughly before anyone can be allowed to step on it. Stepping on wet concrete will create marks on it and ruin the design. The contractor will advice on how much time is needed for the patio to dry completely. Applying a high quality sealant on the concrete slabs is important. It helps to protect the concrete from spills and stains, exposure to chemicals and moisture damage. If you installed a decorative colored concrete, the sealant will help to ensure the color remains for a long time to come. Remember that the Sealant must be applied correctly to protect your concrete patio from damage. A reliable contractor will ensure the sealant is applied according to the manufacturer’s instructions. Last but not least, you need to take the time to maintain your concrete patio if you want it to look good for a long time. Good thing with concrete is that it has very low maintenance demands. Don’t expect to spend much on keeping it in top notch condition. 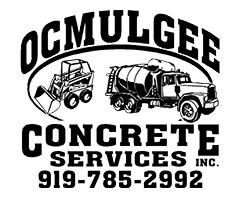 Need your next Raleigh concrete finishing project done professionally? 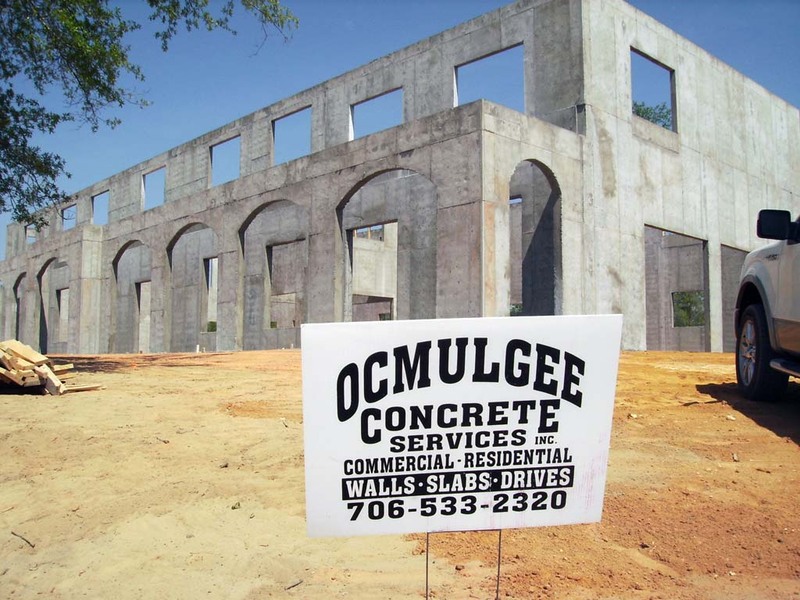 Ocmulgee has the experience and infrastructure to handle even the biggest projects. Call us!